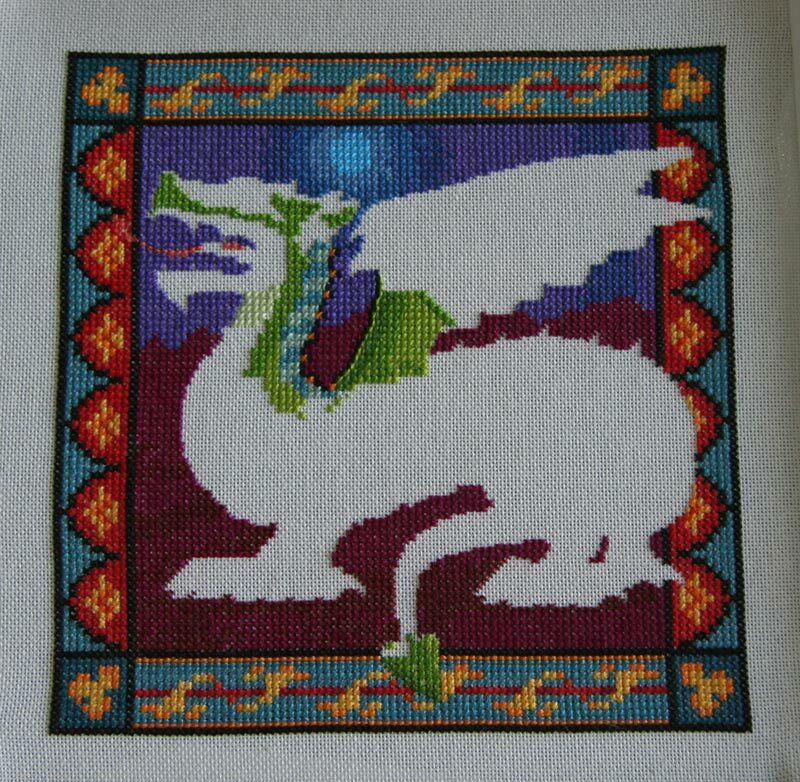 I realized that I never got around to posting the latest progress on the Heritage Stitchcraft Dragon, or the first hardanger piece, so here they are! I haven't stitched on this one in a week or so, since I decided to take a break and work on a Halloween freebie. I'm almost done with the freebie, so I'll post a photo when the stitching is all done. 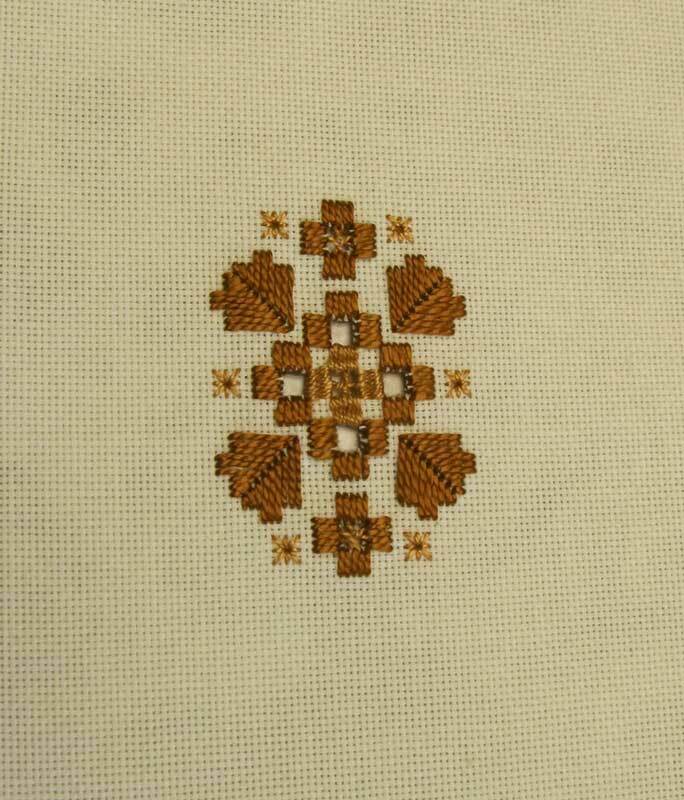 And here is the first hardanger piece I've ever attempted. The pattern and instructions were from New Stitches magazine (Issue 5, I think... definitely one of the very early ones). I did it with the pearl cotton that I had on hand, so that's why it's done is rust colors instead of the traditional white-on-white. It's not great, and I definitely need some better scissors for doing the cut work (the ones I have are great for some stitching stuff, just not that! ), but it was fun to try. I'll be trying some more in the future, that's for sure!